On Character’s website it says this will be in stock on the 26th of this month, but forbidden Planet don’t get them in until the 9th? Is that right? Gut feeling we are going to get footage of the Tardis and Sonic so more merchandise can be revealed just after. Don’t hold us to it though, Things can change! That Tardis looks a bit interesting in that picture! Yeah I remember the Tennant figure, and vaguely remember a few of the other characters. I just think it would be great to have a few more Doctors in this scale. And they did that “10 figure of the Eleventh Doctor in 2011. The characters released in this scale were the 10th and 11th Doctors, Martha Jones, Dalek Sec Hybrid, Novice Hame, the Judoon Captain and the Cybermen/Cyber Leader. Then of course the R/C Daleks. Can’t remember ever seeing the 12th Doctor though. So is this 10″ scale or 12″ scale? I think they’ll announce the 5.5” figure along with the new sonic screwdriver toy and flight control TARDIS. 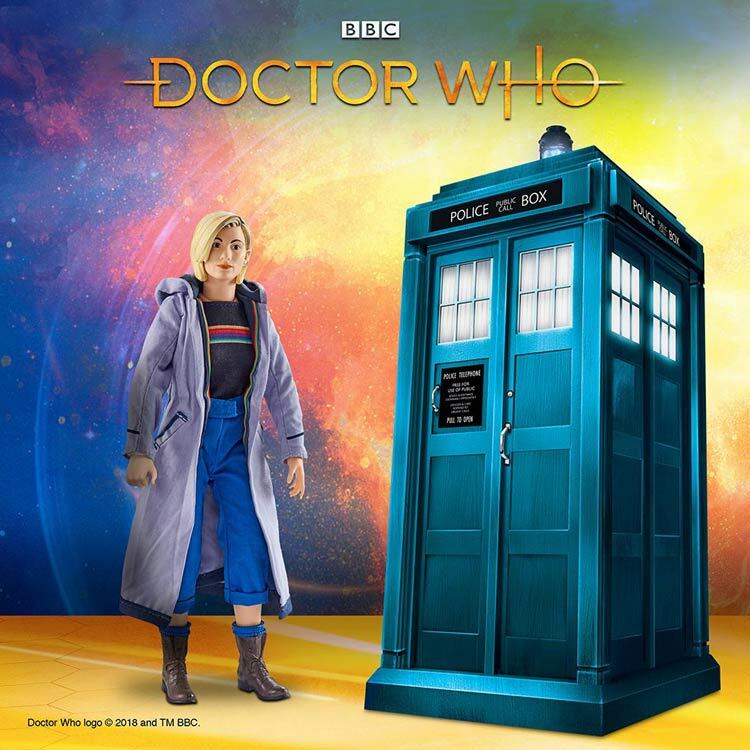 I get the feeling that they are holding out until SDCC itself to show the 5 inch 13th Doctor, as part of a small series 11 related figure wave. If the wave contains characters or monsters from the new series, it would make sense to keep them secret. Not to mention if there is going to be a trailer, showing said monsters and characters, it would also make sense to unveil them after the panel and the trailer has been made public. 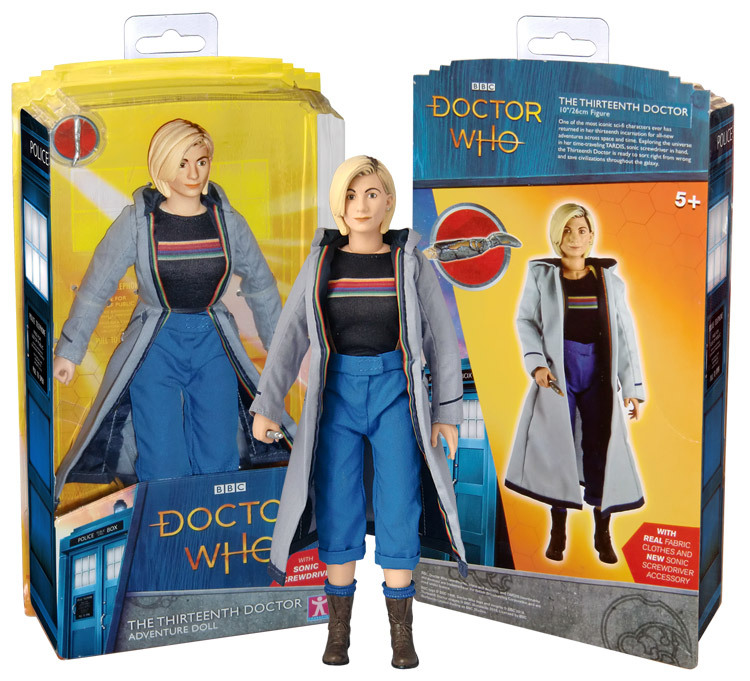 If there was a 5.5 Jodie figure why haven’t they announced it today. This is coming out next month before the series starts so why haven’t they said anything about the 5.5 version? Bit strange that this is out before a 5 inch figure. The merchandise looks promising and it is great it seems they will be out in line for when the new series airs unlike previous years. 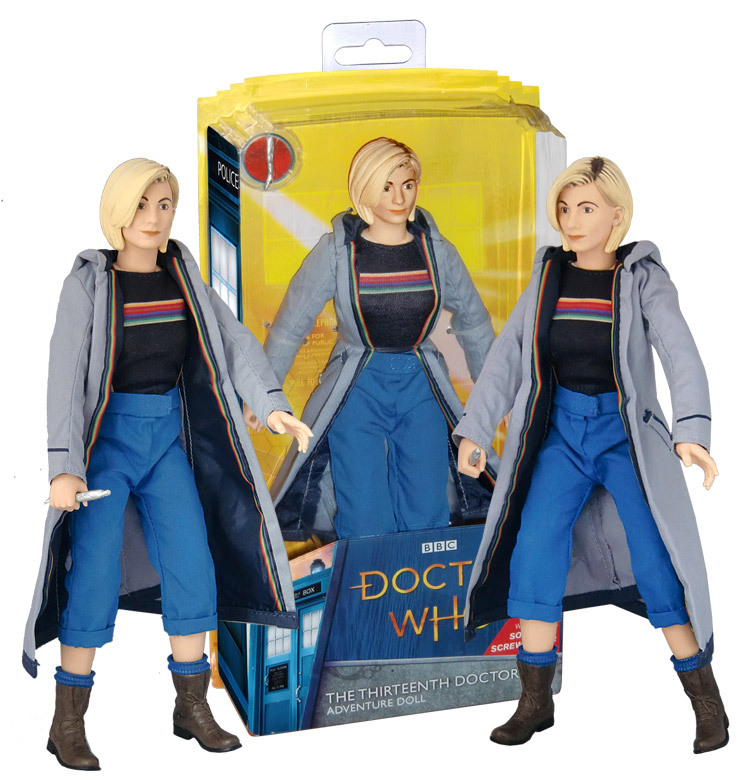 Does anyone know if there actually any plans to release a 13th Doctor 5 inch figure rather than just these sort of things? Forget barbie, i should hope a lot of girls etc would want a jodie this xmas. Let’s hope they actually advertise it properly like they used to. I heard about this a few weeks ago and was slightly dismayed when they said 10 inch figure and i thought surely the 5:5 is in the pipeline as well. But at least with this they,ve got Jodies distinctive features spot on. What with this and those B and M sets imminent, the excitements building. I want the series 11 Tardis. Not interested in much else, unless there are new Daleks. A flight control 13th Doctor TARDIS is coming. Source: the distributor Zappies, whose website had this, a 13th Doctor Sonic Screwdriver and the aforementioned TARDIS listed a few months back. So, we’ve got images now. 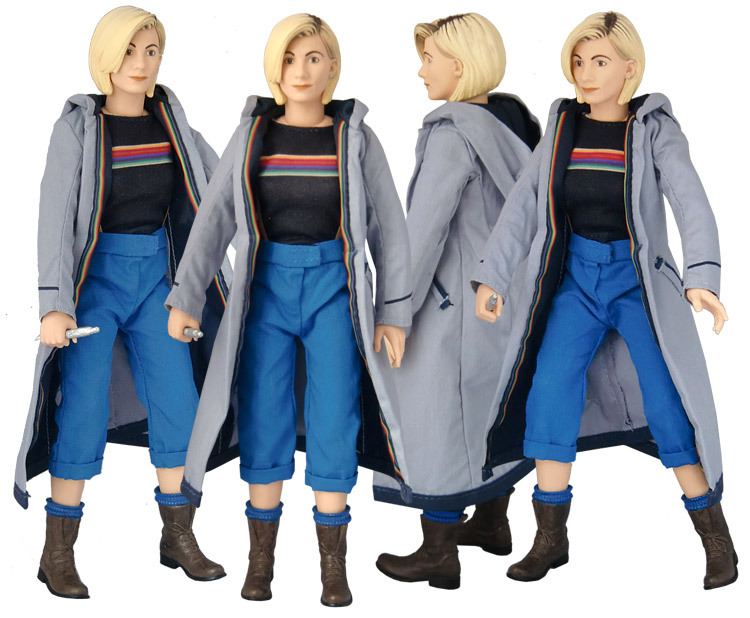 Can’t wait to see the 5 inch 13th Doctor figure, which presumably will use the same scans as this figure, so will look similar, but smaller. good now if you could just make this completely plastic and half the size. Now THIS is promising. I was starting to become uninterested in the show. This kind of merchandise news is what I needed to reinvent my excitement and interest. Does this mean no 5 inch? I love this! As long as we also get a 5″ figure I will be happy!